Caterpillars appeal to children and that is why a book like The Very Hungry Caterpillar by Eric Carle is so successful. There is something so fascinating about these long wiggly creatures that comes in all shapes and sizes that is bound to catch a child's eye. Some caterpillars are cute and covered in fur, some are really brightly-coloured, and some look really strange, almost like alien creatures. I know I used to love to find caterpillars as boy, and still do as it turns out! Then of course the incredible story of the magical change from a caterpillar to a pupa or chrysalis that one day will become a moth or beautiful butterfly is enough to inspire anyone! These real wonders of nature are found all over the world yet often people are unaware of the ones living in their neighbourhoods. 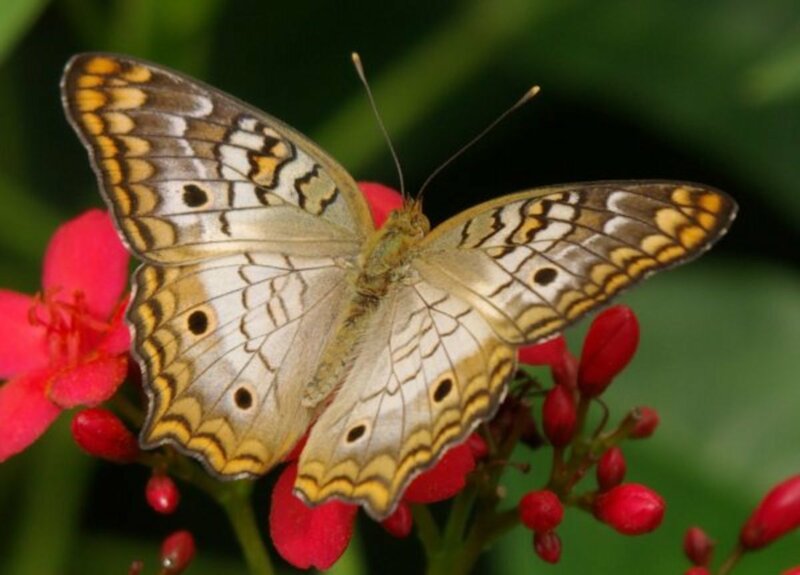 With so many species of wildlife in danger due to habitat destruction and all the other problems humans have caused for the flora and fauna of this planet, it is a good time for people to find out more about the caterpillars of our butterflies and moths. These insects need our help because many are declining in numbers fast. In America, even the once very common Monarch Butterfly (Danaus plexippus) is vanishing rapidly, while in the UK the pretty Small Tortoiseshell (Aglais urticae) is also having serious problems. Everyone is amazed by the incredible transformation that a caterpillar goes through before it becomes an adult butterfly or moth. They have to change completely into a chrysalis for butterflies and a pupa for the moths, and then stay sleeping in this state while they are rebuilt into their new and glorious winged form. 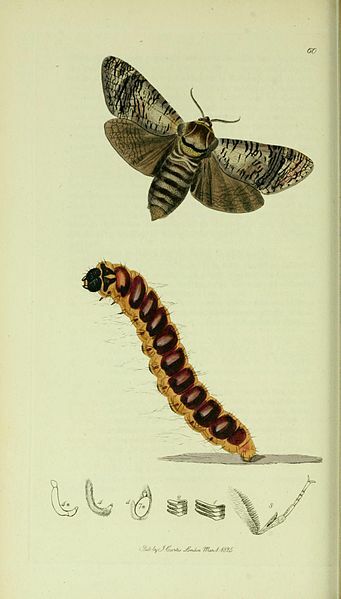 Many moth species have to spin a silken cocoon to house the pupa as well, while others may pupate under the ground. Some moth larvae make cocoons from their own silk but cover them in fragments of leaves, wood chippings or other debris, others spin up inside a rolled leaf. Butterfly caterpillars usually spin a pad of silk to fasten their rear ends to and then hang their bodies upside down while their skin splits to reveal the chrysalis inside that must then harden in the air. Other types attach themselves to a hard surface such as a wall, fence or tree trunk. The very rare Large Blue Butterfly (Phengaris arion), which has been reintroduced into the UK where it had become extinct, actually spends its chrysalis state in the safety of an ants' nest after the caterpillar had been living as a guest of these communal insects through the winter months. Every species of caterpillar has its own unique life-cycle and specific food-plants it needs to feed upon. Some types are lucky because they have a wide range of foods but others can only eat one or two plant species. Availability of these specific plants in an area is just as important to an insect's survival as food sources for the adults. Actually many species of moth do not feed at all as adults. Their short lives are spent seeking out a mate and reproducing their kind. Most of the silk-moths are like this. As a boy I used to often keep caterpillars in jars and other containers and look after the little creatures as pets all the way through to when they changed into their adult forms. 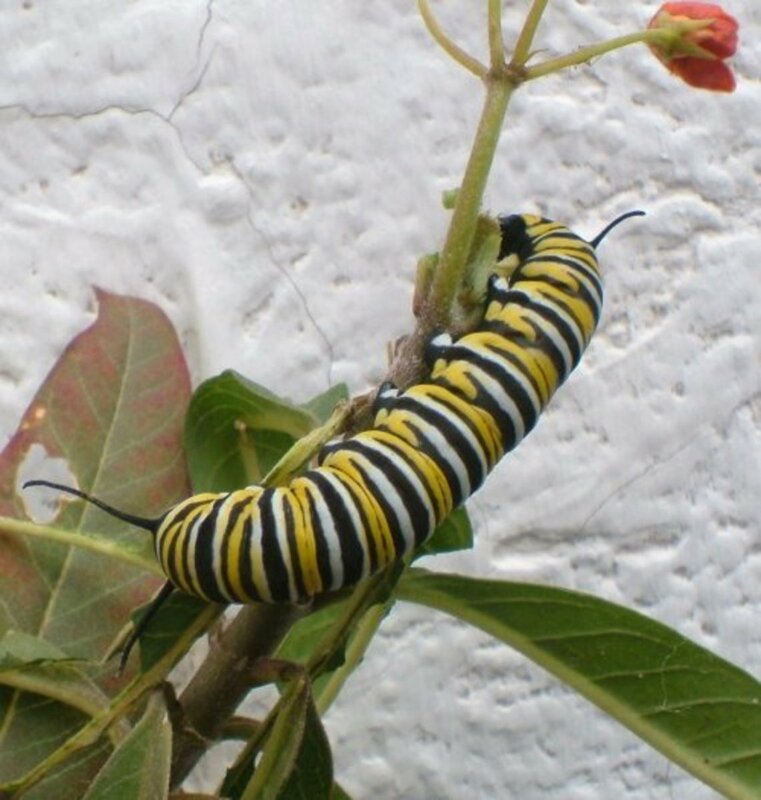 More recently I have been helping to rear Monarch Butterfly caterpillars on Milkweed (Asclepias spp.) grown on my balcony. I once released as many as 50 adult butterflies in one week using this method. It is possible to buy living eggs, caterpillars and pupae/chrysalises from many suppliers on the Internet these days if you want to try your hand at rearing butterfly or moth species. There are also many excellent reference books about butterflies and moths in which you can learn to identify species found in your area and learn about their needs and habits. The range of food-plants for some butterfly caterpillars is very broad but for others it is very limited and this is what determines where the different species can live on the planet. 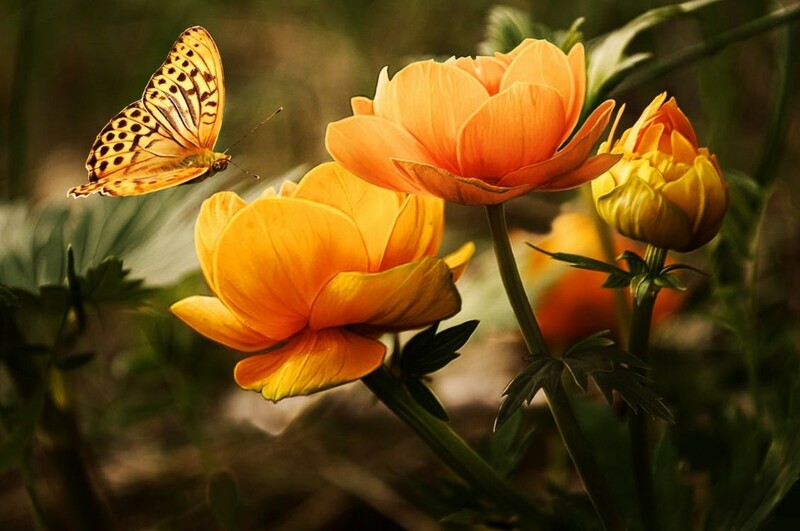 If the plants do not grow in an area then it is no good for that type of butterfly even if it is warm enough and there are plenty of flowers fro the adults to feed from. 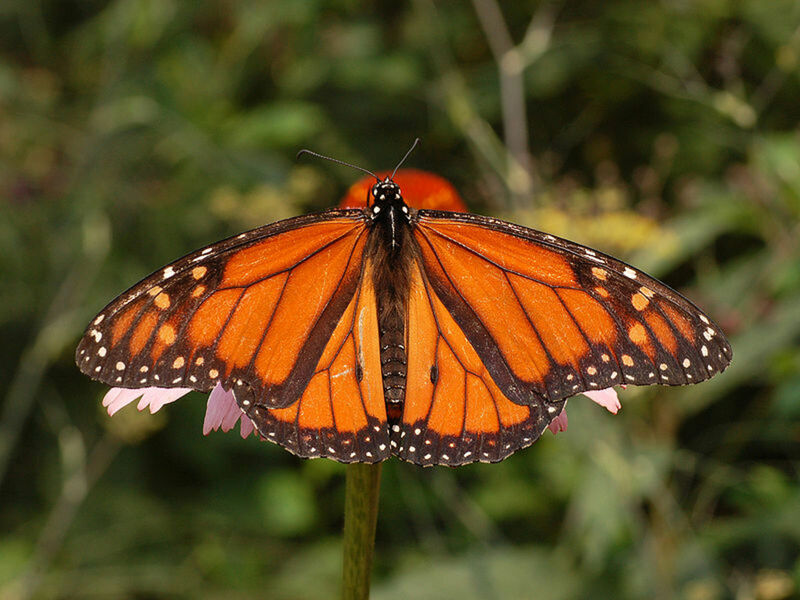 In Tenerife in the Canary Islands, for example, the Monarch Butterfly has only been able to colonise the island with the arrival of the Tropical Milkweed (A. curassavica) being brought here to grow in gardens and parks. The pretty yellow African Migrant (Catopsilia florella) was likewise able to live in the Canary Islands because the plants its caterpillars feed on are now being grown on the islands. This species needs the Senna shrubs Cassia didymobotrya and C. spectabilis for its caterpillars to feed upon. The caterpillars of White (Pieris spp.) butterflies mostly feed on species in the Brassica genus in the Cabbage family but also on the Nasturtium (Tropaeolum majus) so they are found in many places where these plants are grown or can be found in the wild. 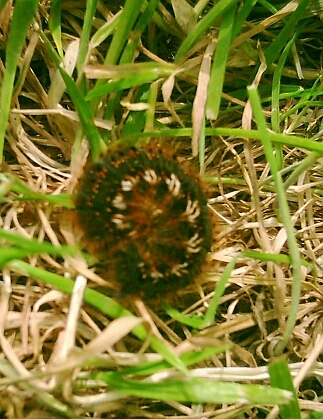 The Brown butterfly caterpillars, such as those of the Meadow Brown (Maniola jurtina), feed on various forms of grass. Even allowing a patch of grass to grow long in your garden can help these butterflies. In the UK, the common Stinging Nettle (Urtica dioica) provides the food for the caterpillars of the Small Tortoiseshell, the magnificent Peacock (Inachis io) and the Red Admiral (Vanessa atalanta). Growing a patch of this much-maligned weed can make all the difference to the survival of the beautiful insects. There are various ways of finding caterpillars. One obvious way is to look for foliage on plants that has been eaten away. Turn back the leaves and see if you can spot what has done this. Some caterpillars are colourful and easy to see but others are camouflaged to blend in with their surroundings. A not so obvious method is to put something flat underneath a bush or overhanging foliage and then to hit or jar the shrub or tree so that anything on it will hopefully fall off. Lepidopterists (people who study butterflies and moths) refer to this method as "beating" for caterpillars. Trays, sheets or even a coat thrown down will make good places for the caterpillars to fall on. You will also find all sorts of other insects this way. It is exciting finding out what is hidden in the foliage but always make sure you put the insects back in their homes afterwards. Many moth caterpillars are very large and unusual-looking creatures. Some like those of the Elephant Hawk (Deilephila elpenor) even end up making news stories when they have been discovered by someone who thought the insect's larval form was tiny snake or maybe some form of alien life. This caterpillar has eye-spots on its head and can extend this part like a trunk, hence its name. The adult moth is coloured rosy-pink and shared of olive and is really beautiful though seldom seen. The Death's Head Hawk Moth (Acherontia atropos) caterpillar is huge and comes in a range of green. yellow or brown as its main colouring. 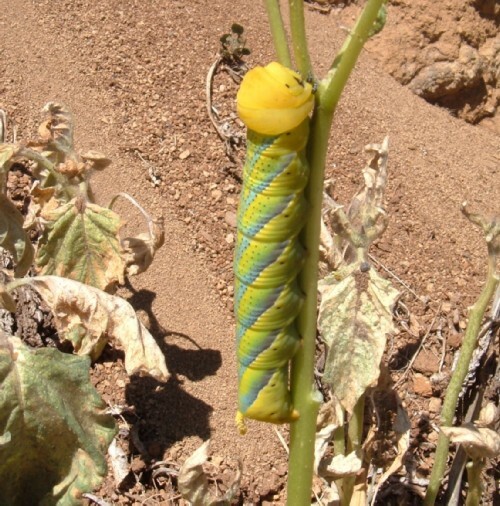 This finger-sized larva eats a wide variety of plants including many in the Solanaceae, including the Thornapple (Datura stramonium) and the Potato. The adult moth has a curious marking like a skull on the back of its thorax and is thought of as a bad omen by superstitious people. Some caterpillars, like the larva of the Pale Tussock Moth (Calliteara pudibunda), are covered with hairs and some of these are in tufts. Hairy caterpillars like these are often very pretty creatures but the moths they tun into may be very drab in comparison, or not in other species. Some caterpillars have very unusual habits. That of the Drinker Moth (Euthrix potatoria), as its name suggests, actually likes to drink water that has formed as dew or raindrops on grass and reeds that it feeds upon. The caterpillars of some types of moth don't eat leaves but live inside the trunks and branches of trees and bushes where they bore through the wood. The large Goat Moth (Cossus cossus) caterpillar, which is found in many types of tree in the UK and Europe, is an example of a wood-boring moth larva. The Lobster Moth (Stauropus fagi) is a British and European moth with a most unusual caterpillar that looks more like a large ant or small spider in its early stages. The baby caterpillars eat their egg-shells before they go on to eating Beech and other leaves from trees as they grow bigger. They have long spindly legs and move about quickly making them look even more like ants. As they grow larger they keep the long legs and develop a swollen head and end of their bodies. This tail section is bent back over their bodies and ends in too long appendages that are actually modified claspers that all caterpillars have. The back of the Lobster Moth caterpillar has humps along it too. If disturbed this caterpillar can adopt a very menacing looking position. The adult moth is a mainly brown colour and very dull in comparison with its younger stage. The Magpie Moth (Abraxas grossulariata) is a very pretty moth found in Britain, Europe and North America. Its white wings are spotted with black dots and it has yellow-orange patches on them too, whilst its body is this colour and dotted with black. The caterpillar has similar colouration and feeds on Gooseberry and Currant bushes in gardens. 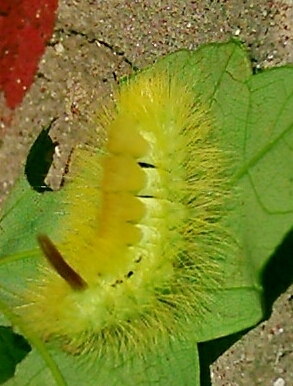 It is a "Looper"caterpillar or "Inch-worm" as some species are known in America. These caterpillars from the very large Geometridae family, make their bodies into loops as the move along and have to bring the tail-end forward to catch up with the head. They look as if they are measuring what they are walking on. The Magpie Moth used to be very common in the UK but it is an example of a moth species that has suffered a very serious decline in numbers. Problems that moths are threatened by include the use of pesticides, herbicides that kill their food-plants, loss of habitat and Climate Change. 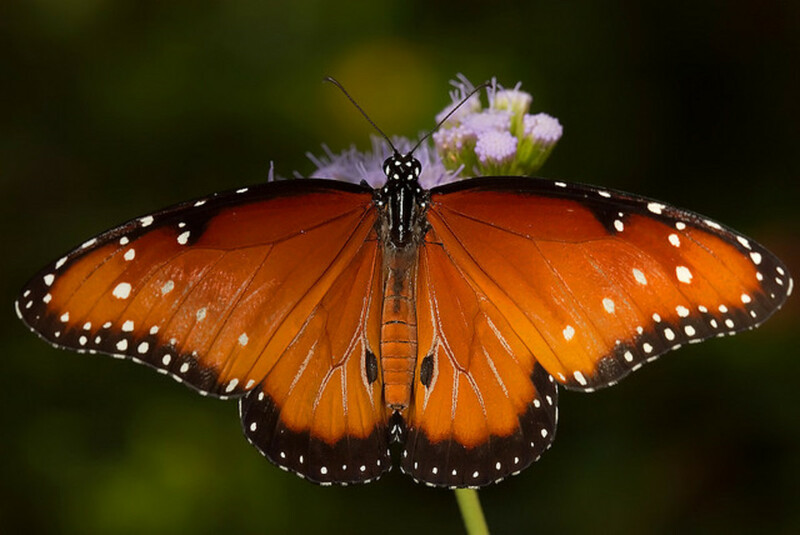 Most butterfly and moth species are nowhere near as plentiful as they once were and that is why the conservation of the plants and habitats these pretty insects need is so important. Thank you so much, Au fait! An excellent well written hub! A great subject, too. Interesting, and even beautiful photos. Look forward to reading more of your hubs. Voted you up, beautiful, and awesome! Will share with my followers . . Thank you for commenting and voting, Moonlake! I remember a glorious dragonfly that hatched out from a nymph I kept as a boy and on its first and only flight a bird swooped down and ate it! It was a valuable lesson about nature. Love caterpillars. I saw one on our deck got my camera to go take a picture a bird flew down ate it before I could get there. Voted Up on your hub. Thanks for posting, Chef! Yes, the names of the moths are amazing and so imaginative. There is of course, the Merveille-de-jour moth to match your moniker! Lovely hub and so informative I could weep. It's been my ambition to write a hub just on the names of moths themselves - from the Neglected Rustic to the Drinker they're a source of fascination and wonder. Thank you so much, Vocalcoach, Sunshine625 and Arlene, for your comments! I have been thinking tonight that what we need is an international organisation set up to help butterflies and moths. People can do so worldwide anyway by simply growing plants the caterpillars eat. All of us have access to growing places if only balconies. The butterflies need food for their caterpillars. There are loads of online suppliers of seeds to feed butterfly caterpillars and of flowers for the adults and cheap prices too. We could turn this around! 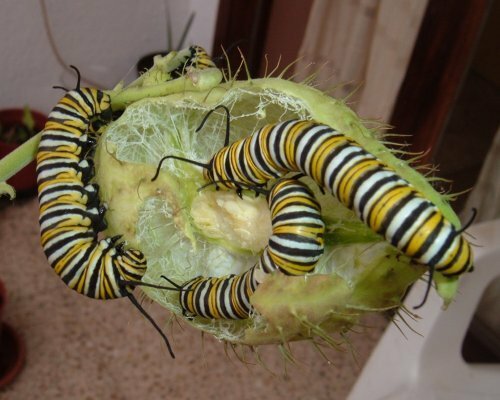 Just Google Monarch butterfly seeds and you will see what I mean. Green Bard, I'm glad I found you! As a child, I used to collect caterpillars, but your article and photographs floor me. Wonderful Hub with so much information. Looking forward to more of your work! To learn how important stinging nettle is for the survival of caterpillars fascinates me. I enjoyed this wonderful hub so very much. You are an absolute master! Thank you and voting up, useful, awesome, beautiful and interesting. I will share as well! Thanks, Gin! Yes, such places are really great but wouldn't it be so much better if the insects were back in the wild like they used to be?